This is my first personal Pathtag, though I have participated in a limited manner in the development of a number of tags for GeoCachers 4 Christ (www.geocachers3christ.com). Many thanks to Pathtagger and fellow GC4C member, gemmy, for her help and patience in working with me to get the final design ready! 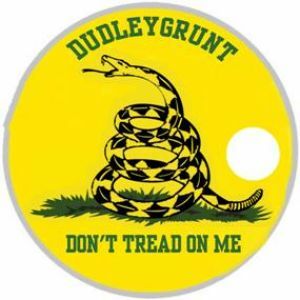 I've been using the Gadsden Flag as the basis for my avatar on various caching sites and for my wooden nickels. It was a natural selection for my first tag. Of course, when I initially considered making this, I saw that there were no others based on the flag or the "Don't Tread on Me" motto. Since then, I know that Team Itchy & Scratchy came out with one (9214), but I guess there's room for two. It will be available for approved trades. I'm most interested in personal tags for geocachers I have some connection with or tags with Christian, military, patriotic or scouting themes. I've recently gotten a reorder, but will be very selective on what I trade for (see above). In fall 1775, the United States Navy was established to intercept incoming British ships carrying war supplies to the British troops in the colonies. To aid in this, the Second Continental Congress authorized the mustering of five companies of Marines to accompany the Navy on their first mission. The first Marines that enlisted were from Philadelphia and they carried drums painted yellow, depicting a coiled rattlesnake with thirteen rattles, and the motto "Don't Tread On Me." This is the first recorded mention of the future Gadsden flag's symbolism. At the Congress, Continental Colonel Christopher Gadsden represented his home state of South Carolina. He was one of three members of the Marine Committee who were outfitting the first naval mission. It is unclear whether Gadsden took his inspiration from the Marines' drums, or if he inspired them himself. Before the departure of that first mission, the newly appointed commander-in-chief of the Navy, Commodore Esek Hopkins, received the yellow rattlesnake flag described above from Gadsden to serve as his distinctive personal standard. Three members of the Marine Committee who were outfitting the first naval mission. It is unclear whether Gadsden took his inspiration from the Marines' drums, or if he inspired them himself. For more info, visit www.gadsden.info.